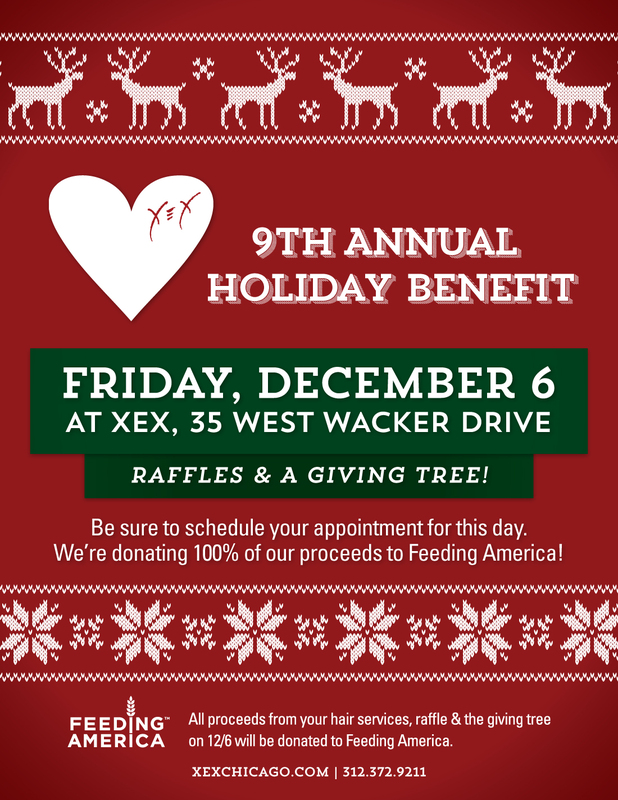 Our 9th Annual Holiday Benefit – Friday, December 6 at XEX! We are thrilled to announce our 9th Annual Holiday Benefit. It will be held on Friday, December 6 at XEX. Join us all day for raffles and a giving tree with items from many awesome local businesses. All proceeds from your services, the raffle and the giving tree will be donated to Feeding America! Join us for a great day of holiday giving!